Stuart Stratford read music at Trinity College, Cambridge, studying conducting with David Parry. He also spent three years studying with the legendary conducting teacher Ilya Aleksandrovich Musin at the Saint Petersburg State Conservatoire. He was appointed Music Director of Scottish Opera in 2015.
Notable engagements elsewhere: Anthropocene, Katya Kabanova, Mascagni’s Silvano in concert (Scottish Opera). 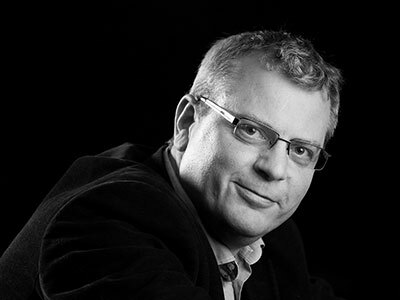 In the UK he has conducted for ENO, Opera North, WNO, Opera Holland Park, Birmingham Opera Company and Buxton Festival, with repertoire including Eugene Onegin, Il barbiere di Siviglia, Khovanshchina, Orfeo ed Euridice, Don Giovanni, Pagliacci, Il trittico, The Turn of the Screw, Falstaff, La bohème, Candide, Rusalka, Jenufa, Greek, Aleko, Iris, L’amico Fritz, Sibelius’s The Maiden in the Tower (world staged premiere) and Rimsky-Korsakov’s Kashchei the Immortal (UK staged premiere). Engagements outside the UK include Doctor Atomic (Finnish National Opera), Un ballo in maschera (Theater St Gallen), Faust (Estonian National Opera at the Birgitta Festival) and L’elisir d’amore (West Australian Opera).